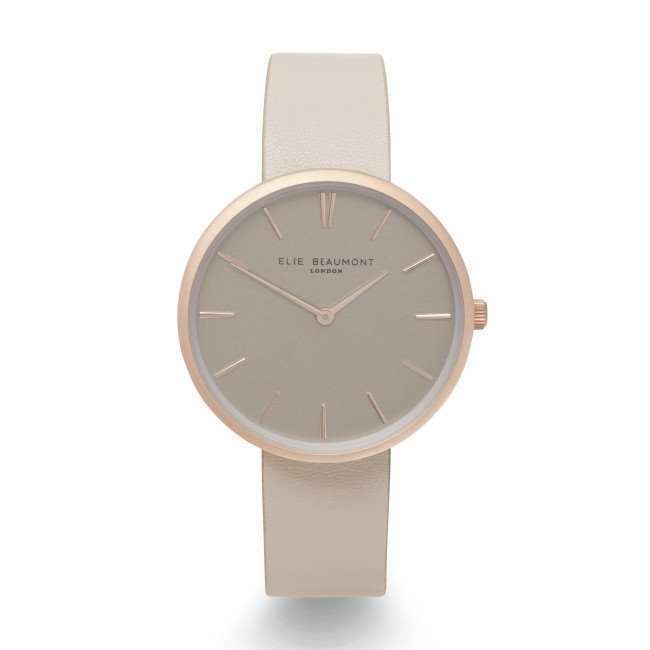 The Elie Beaumont Hampstead design features a genuine leather light taupe strap with a smooth finish. With a Taupe face and rose gold plated case suuround, this watch is simplicity at its finest. Supplied in a luxurious gift box, ideal for gifting.